Professor Prachi Srivastava’s paper selected for ‘Top 20 in 20’, International Journal of Qualitative Methods. 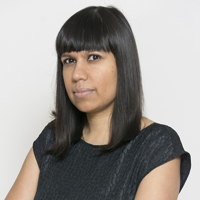 The International Journal of Qualitative Methods has recognized Professor Prachi Srivastava’s contribution (with co-author Nick Hopwood, University of Technology Sydney), in the journal’s ‘Top 20 in 20’ issue. This special issue celebrates the journal’s twentieth anniversary. Their paper, A Practical Iterative Framework for Qualitative Data Analysis, originally published in 2009, was selected based on the number of citations and downloads. “You have to train your mind to look at the data in a certain way — to categorize, connect and make sense of them,” said Srivastava. The paper has been popular with newer and experienced researchers, and has crossed a number of disciplines, including education, ecology, geography, global education, global health, international development, nursing, and technology. Srivastava was particularly stricken by its use in studies analyzing data from intersectional perspectives and conducted with marginalized groups, including women, LGBTQ communities, minority or racialized groups, and immigrant and refugee populations, and in research sites all over the globe. “It’s so humbling to see that something I thought was going to be really only useful to me, is in fact, useful for people doing so many different studies,” said Srivastava. The genesis for the framework began in 2004 when Srivastava was writing her doctoral thesis at the University of Oxford on ‘low-fee private schooling’ in India, a term she coined and that has since gained popular usage. One of the first doctoral theses on the topic, the study had a multi-level design and used a range of qualitative methods. The bulk of the data came from 100 interviews with disadvantaged households, school principals, and policymakers and government officials, and over 1,000 pages of legislative and regulatory documents. As she was making sense of the data, the three questions came to her and Srivastava organized them into a framework. Hopwood thought it was useful and asked if he could use it for his doctoral thesis on an entirely different topic — British schoolchildren’s conceptions of geography. Now, an experienced researcher, Srivastava continues to use the framework in her qualitative and mixed methods studies. She may be researching in a slum in India with semi-literate parents, conducting elite interviews with philanthropists or government officials, or analyzing policy documents. She also uses it in her teaching. It’s fulfilling to see students use the framework for their studies. Srivastava is passionate about discussing and teaching research methodologies and research design. She emphasized analysis isn’t a mechanical process. Rather, researchers have a conceptual and philosophical worldview that affects their analysis. Also, when researchers work globally, they work in areas that may be unfamiliar to them. This perspective also affects how researchers collect and analyze data. Srivastava targeted an open-access journal to publish because she wanted to ensure a wide range of researchers can access her work. “My publication strategy is focusing more and more on making my results and conceptualizations available to those who fall outside traditional academia,” she said. This includes areas and countries where access to academic scholarship in traditional journals is limited.